So anyone that knows me will have heard me say, we need to tell ourselves better stories. 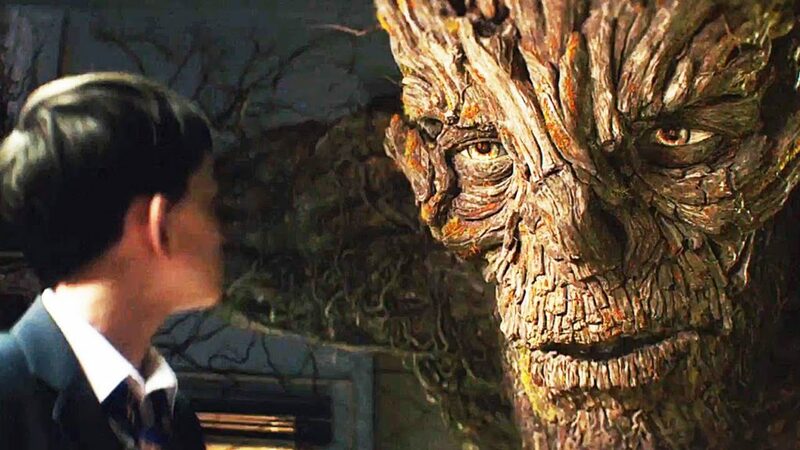 The question is, is “A Monster Calls” a better story? Well lets start with the bad bit… it’s a proper tear jerker. At points, I found myself wishing that the movie would hurry up and end, otherwise I was worried I would be properly sobbing out loud. As it was, I had pressure build up around my eyes tying to fight the tears, my jaw was tightening, my chest was trying to heave and i found myself thinking that maybe I should have worn my waterproof jacket – yes – at points tears were streaming down my face. Even my girlfriend who doesn’t usually cry at movies was finding it hard to hold it together. The story centres around a 12 year old boy (Conor), and his single parent mum who is slowly wasting away from cancer, and continually returns to Conor’s recurring nightmare of the earth collapsing and him desperately trying to hold onto the hand of someone falling to their death…. It’s clearly not overly cheery stuff, as the monster tells Conor 3 stories that the monster feels he needs to hear. Here’s what I really liked about the movie. The stories, whilst told as fairy stories are more true to real life. What I mean is that they aren’t the type of clear cut good and bad, with good always triumphing over evil. Real life often isn’t fair, yet we expect it to be, and this expectation causes us loads of pain! It’s called the expectation gap and is at the root cause of a huge amount of our unhappiness. Also, as a species, we are complicated. Sure we might like to think that as an individual we are good, but for most of us, sometimes we can behave badly too. Complicated is normal. We are all good and bad, different versions of ourselves showing up often depending on the circumstances surrounding us. Anyway – back to the plot! In the movie Conor behaves badly – he goes out of his way to have the school bully’s beat the s**t out of him almost every day, because he feels like he should be punished. It’s nonsense of course – the last thing he needs is more pain! Next he smashes up his Gran’s immaculate living room in a rage, and again seeks to be punished. He’s afraid of having to live with his gran but this is where his life is going and he can’t handle it. It’s too much for him. And finally he snaps, beats the s**t out of the bully, and finds himself in the headmistresses office – again seeking to be punished. So why does he want to be punished so badly? Why so much guilt? And this is the really sad part… he knows his mum is dying (despite the fact she is telling him that she is going to get better). For him, living watching his mum slowly dying and the thought of her leaving him alone is just too slow and painful. He can’t cope with it and part of him just wants his own suffering to be over. The guilt that accompanies this selfish thought (his secret) consumes him. The movie ends with him and his grandmother rushing by car to the hospital to say goodbye to his mum… with the final scene being with him and his mother getting to say what they need to to each other before she dies. It’s properly heart breaking. This is a beautiful story, written by a woman whilst she had a terminal illness. For me it shows just how unfair and fragile life can be. We all think that life should be a particular way, when the reality is that life isn’t fair, it’s incredibly hard at times, and many many people suffer with things they simply can’t deal with. We should remember this the next time something inconsequential doesn’t go our way. It reminded me that we really can’t take anything for granted. My girlfriend told me just a few hours after the movie that a school friend in his mid 30s died yesterday just a few short weeks after finding out he was ill. The truth is that pain is everywhere and life isn’t fair. So knowing that life isn’t fair, and that unexpected pain might be just around the corner it’s up to us to appreciate what we have, and take nothing for granted. We often want life to be perfect, when the reality is it’s often going to be messy. So here’s what I think we must do for a better life. Hug a little harder and longer, be compassionate, prioritise time with loved ones, work a little less and love more (and maybe that means love yourself more too.) Truly be present with the things that matter most. When people behave badly, it’s often because they have pain in their life that they are finding really hard to deal with. We cannot control our amount of time alive, but we can influence the quality of our moments and how we choose to live our life. You only get this one life.